The optical quality leaves nothing to be desired. If the designers have compromised anything to achieve the compact size, it isn't apparent in pictures I've made with the lens. Well, one compromise is obvious—the lens is quite pricey. So who might be interested in spending the money to have such a miniaturized lens? My first thought would be, someone for whom a moderately long lens feels "normal" (the way a moderately short lens feels normal to me). The camera/lens package, especially if you leave the grip at home, would make a great little "walkabout" kit if this angle of view fits your vision. Then I realized that someone like me is another obvious candidate, for one specific reason. Since I seldom use a long lens, I'm likely not to bother carrying one if it's big, heavy, and bulky. But there's practically no camera bag so small you can't slip the DA70 into it somewhere. This came in handy last Sunday when I happened on an unusual event while out looking for pictures. Pop over to my web log and see the DA70's results in my post for 3/26/07. The second and third pictures were made with the 70, literally because there was no place for me to stand where a shorter lens would have given an interesting view of the action. Even if I use a long lens for only 2% of my pictures, a lens compact enough to encourage me to carry it at all times means I won't miss out on that 2%. 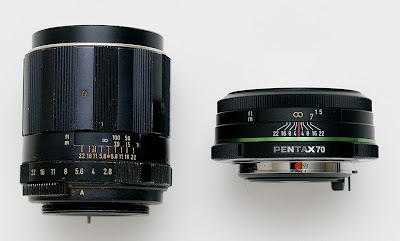 Additional Comment from Mike: For those of you who may not be Pentaxians and may not know this, you see that old c. 1965 105mm Super Takumar in the top picture, on the left? 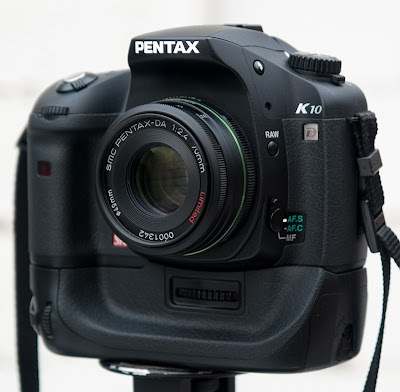 You can actually use that lens on the K10D, Pentax's latest and most up-to-date digital SLR, albeit with some inevitable operational restrictions. Now that's back-compatibility for ya. The 70LTd is a nice looking lens. However, I'm debating between the older FA77mm LTD and the new DA70mm LTD. The older model has an Aperture ring and is a bit faster (F/1.8)! Although a bit larger and heavier, but when you attach the DA70's lens hood they look almost the same in size. Have you been able to test the FA77? I just picked up the Pentax 21mm limited and the 70mm is in my 'soon to be purchased' queue. Carl, I wonder if you could comment on (and maybe even post pictures of) this lens' bokeh. I am interested in the lens primarily for portraiture and considering how close it is in price to the very excellent 77mmm limited, I'm torn on which lens to buy. I have not tested the FA77, though it would be interesting to see the difference between the two lenses. Thanks to fernado for the interesting link. There clearly is a boke difference in the examples there. I may get a chance to make a few "head shot" tests since that's an obvious application for this focal length and a good way to check out of focus rendering with different backgrounds. Stay tuned. 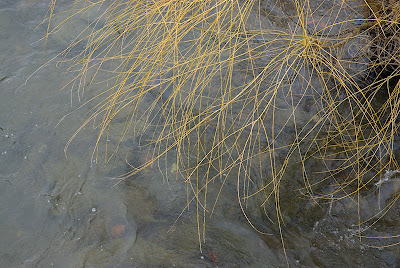 I currently have a K10D and the 40mm f/2.8 pancake on test. It's a really nice combo, the K10D is ultra-fast in screw driven focusing and the pancake lens is quite sharp. The only drawback I've noticed with the lens is that the image quality suffers quite a lot if you drop the aperture down to f/8 or less. This is probably because of the lens design. I wouldn't see it as a big flaw as the lens is really sharp even wide open.